In St. Matthew’s recounting of the calling of the Twelve Apostles, he provides us with the names of the men chosen by Christ to be His most intimate friends and to whom He would give the authority to lead the Church. While we may be familiar with most, if not all of the names of the Apostles, their backgrounds deserve some consideration, for they reveal the power of Christ’s love and how love for Jesus can transform human relationships. A careful examination of the Apostles’ background reveals that Jesus called 12 men who were quite ordinary. None of them were wealthy, nor did they have academic degrees or social clout. Most of them were working class men – they were fishermen. Even within the group there were different personalities and visions for what a true Messiah would be for Israel. Two Apostles in particular – St. Matthew and St. Simon from Cana – could not have been more polar opposites in terms of political affiliations. 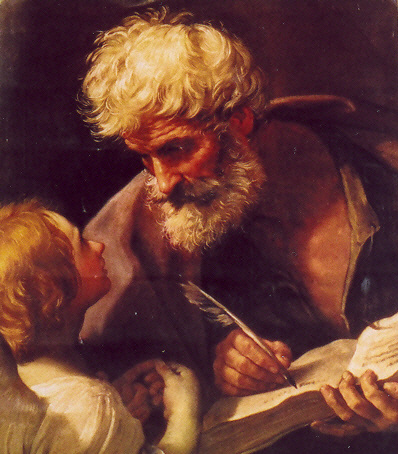 St. Matthew was a tax collector and as such, he was considered a traitor to his own nation. Tax collectors were the Jewish hireling of the Romans, who were paid to extract taxes from fellow Jews in order to support Roman occupation. Tax collectors were considered to be the antithesis of patriots. Meanwhile, St. Simon from Cana was a member of a party of rabidly patriotic Jews called the Zealots (hence the name St. Simon the Zealot). The Zealots were a fourth party of Jews (the other three were the Pharisees, Sadducees and the Essenes). The historian Josephus recounts that the Zealots had an immense patriotism and would only acknowledge God as their lord and ruler. They were prepared to die for Israel in their struggle for freedom. Some of them would carry a secret dagger under their cloaks and conduct stealthy assassinations of occupying forces so as to rid the country of foreign rule. They were the most nationalistic group in the Holy Land at the time of Jesus. Given the fact that St. Matthew and St. Simon the Zealot were complete opposites, we ought to marvel at the desire to collaborate with each other. Were it not out of a common love for Jesus, it is not difficult to imagine that Simon would have gladly stuck a dagger in Matthew’s heart. Therein lies a tremendous truth about the human person: he can learn to love others if he is bound by a common love for Jesus, even if by purely human standards, he might be that other person’s mortal enemy. The friendship that existed between Matthew and Simon reveals that Christ’s grace has the power to transform relationships and allow men to learn to love each other out of love for Jesus. When Christ is the reference point for love, persons who might otherwise never know or love each other are joined in friendship and enemies can become friends. Catholics observe this dynamic on a regular basis. Who else but Jesus could bring different nationalities, races and economic classes together in the Church? At Sunday Mass, the typical Catholic observes that were it not for Christ, he would not necessarily find himself affiliated with the rest of the persons sitting in the pews. Yet, it is out of love for Jesus that unity becomes possible and fruitful in the Church. May the calling of the Twelve Apostles remind us that the unity that exists among the diverse members of the Church has Christ as its source, and that it is for love of Christ that this unity bears fruit in a fractured world.